2001, two 16mm films, 5 minutes duration. Around now consists of an installation of two films showing simultaneously on specifically built opposing screens in the gallery. 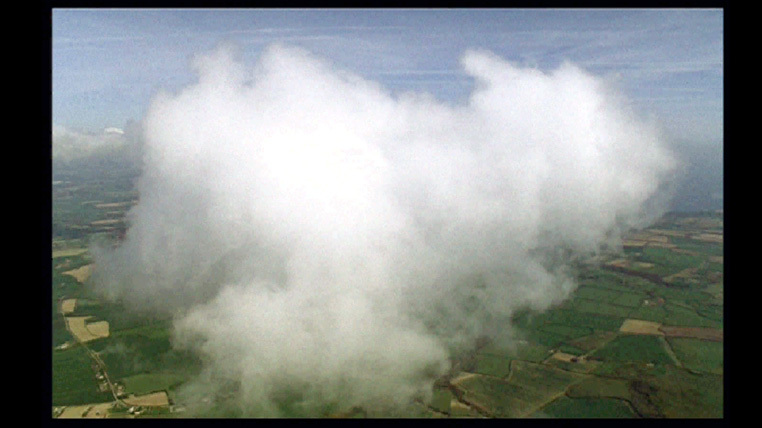 One film is a single unedited shot taken while flying 360˚ in a perfect circle around a cloud. 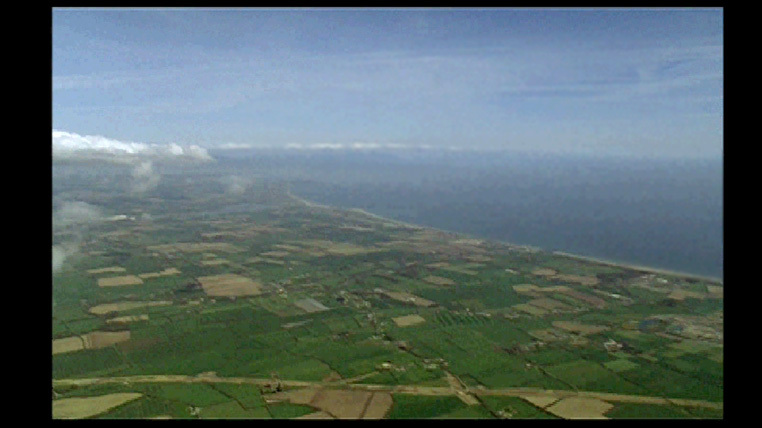 The other film is of the opposite direction, out into the surrounding skyscape while flying around the same cloud. In projecting simultaneously the two films, opposite each other, a slippage occurs between both viewpoints, the space between the screens becomes the in-between, the ‘cut out’ path of the route taken, which we inhabit as viewers.